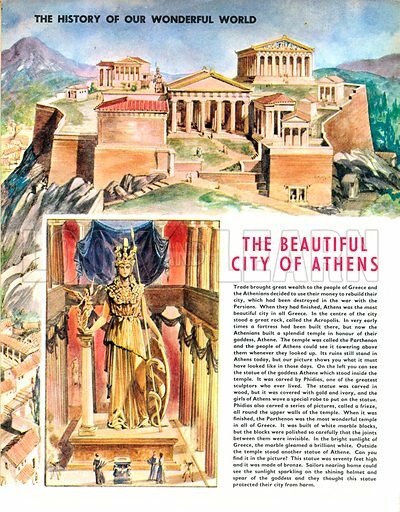 The History of Our Wonderful World: The Beautiful City of Athens. The statue of the goddess Athena in the Parthenon temple. Available worldwide for immediate download up to 3,533 x 4,529 pixels.